Lee Cutler plans to be the South Coast’s answer to heavyweight hero Anthony Joshua. 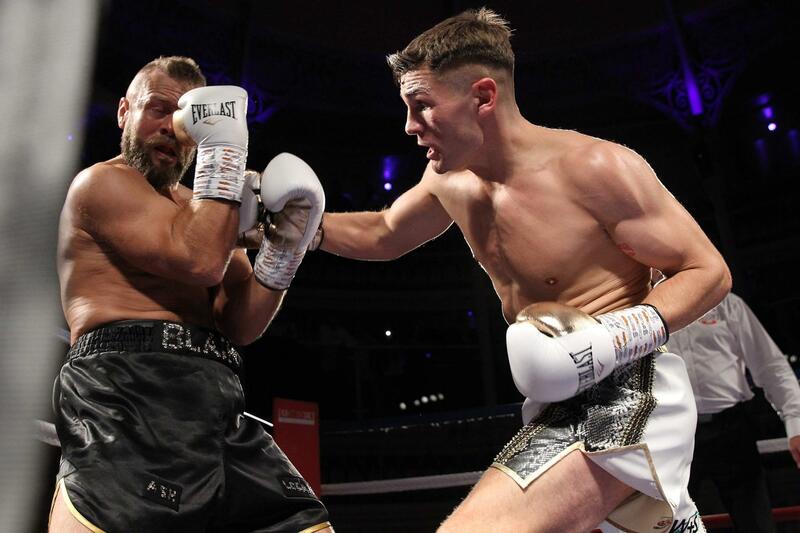 Cutler has launched his pro career with back-to-back wins – and the 23 year-old middleweight has a busy March coming up. Manager Steve Bendall has got him a spot on his show in home-town Bournemouth on Friday, March 15 and provided he comes through unscathed, Cutler will be box again in Southampton 15 days later. Cutler is a big ticket seller – and he hopes his following will grow. “I always had a good following as an amateur,” he said, “and I like to give people want they want to see. “I want to get non-boxing fans coming along to watch me, the way Anthony Joshua does. “I think that when people see me knocking people out they will want to come and watch me. I’ve already got people saying they would rather come and watch me than go to watch the football. “They say it’s a good night out. Cutler got the knockout on his pro debut, taking just 88 seconds to wipe out Casey Blair, before Patryk Buczek extended him the full four. Cutler said: “I’m a counter puncher and like to walk them onto punches. I did that on my debut, but in my second fight, I knocked him down early and he ran away. I can chase opponents and break them down, but four rounds isn’t really enough time to do it. Could Kyotaro Fujimoto Face Anthony Joshua in 2019?